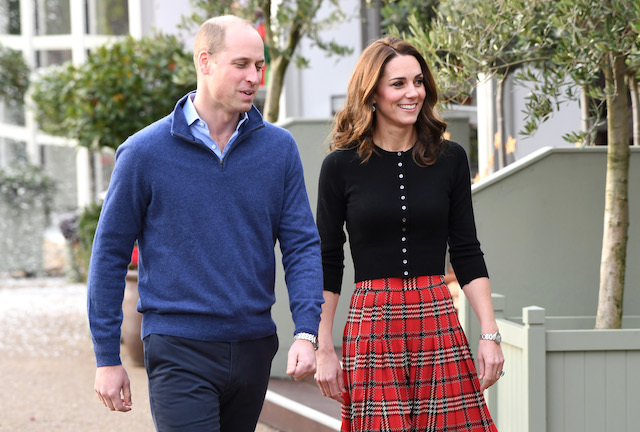 Kate Middleton definitely looked ready for a Christmas party hosted for military families at Kensington Palace Tuesday when she stepped out in a gorgeous tartan skirt. The Duchess of Cambridge looked as fantastic as ever in the festive number that she paired with a long sleeve button up black top as she walked alongside Prince William ahead of the party for families of deployed personnel. Some kind of theatrical fake-snow dispenser blew a snow-like substance behind the couple, surprising them as they made their way inside, which made for an incredibly cute photo opportunity. 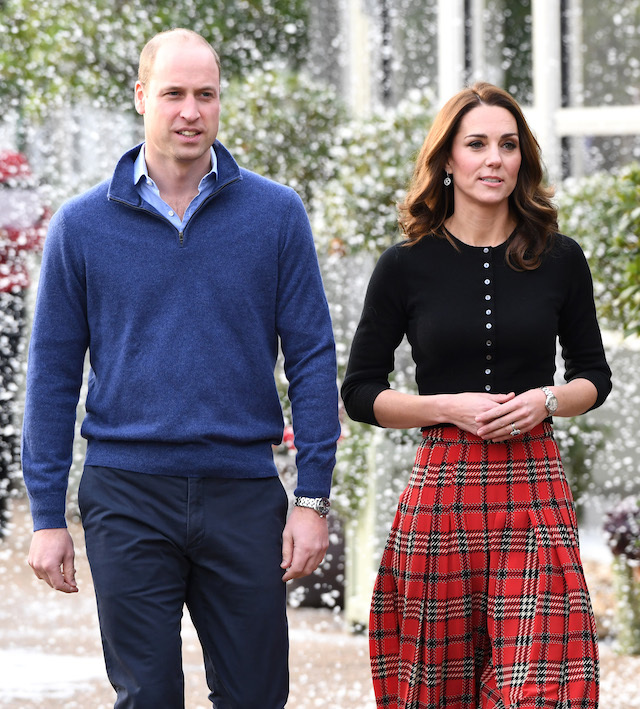 A short time later, Kensington Palace shared a fun video of Middleton in the outfit as fake snow blows in behind her and William. 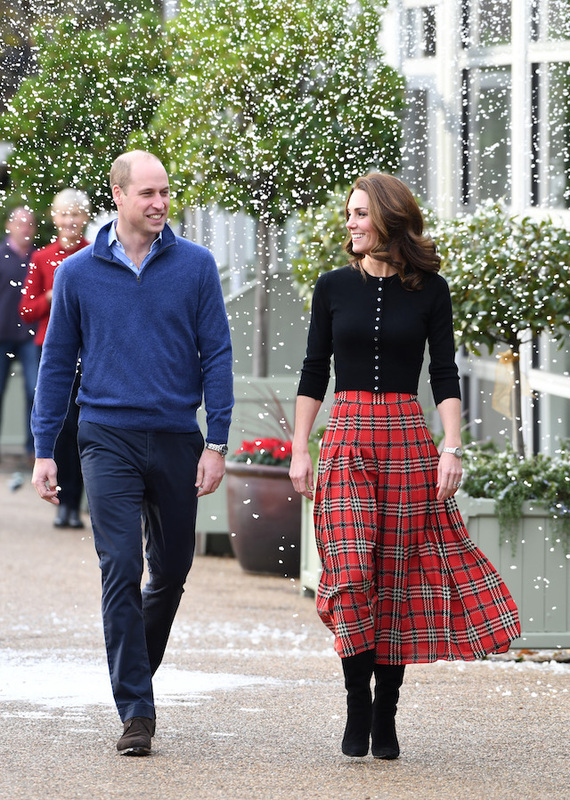 Today, The Duke & Duchess of Cambridge are hosting a Christmas party supported by the British Legion at Kensington Palace for families of deployed personnel from RAF Coningsby and RAF Marham serving in Cyprus. The event is being held in support of deployed military personnel and their families who will be apart over the Christmas period.